Mi Guate ? | Dave Mora Blogs! You are here: Home » eUNKNOWN » Daily Rants » Mi Guate ? 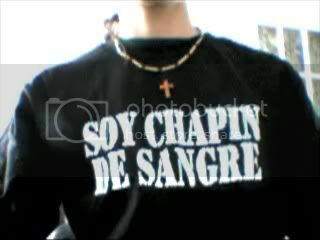 Yo soy Chapin! Although I have lived in the United States since the young age of 3. I still miss my home country of Guatemala. Sadly, when I do visit my home country I feel more like a tourist then someone who is going back home. I always attempted to stay in touch with my family and try to create new friendships with the people in Guatemala. All my attempts over the last 10 years have ended failed. That was until Twitter came into the picture. Twitter is the first Social Network that has allowed me to develop friendships with not only the people in Guatemala but also my fellow geeks. I learned about BarCampGT and Exponet via twitter. Although I missed them this year I hope next year I can fit them into my schedule. I began to have dialogs with many geeks in Guatemala and learning about their development ventures. I began to get the feeling that it was only a matter of time before people outside the inner circle will also take notice. Growing up I always felt that Guatemala will one day have the spotlight either by having a Nobel Peace Price winner in Science, develop something that resembles NASA, become a powerhouse in the Soccer world, or even become the only Latin America country to encourage and develop the next phase of Computer and Web Development. I never thought corruption and the arrest of a fellow twitter user would put my little home country in the spotlight. I am not going to try and explain everything in detail. Because I don’t know everything. I just know the little bits of information I have and what people have voiced via twitter using the hash tag #escandalogt . So, I will simply do what I do best. Talk about what I have experienced. As a latino. I grew up accepting that Latin America countries are all corrupt. It was not treated as a theory, an idea, or even a rumor. I grew up knowing it as a fact. Regardless if that fact was the truth or not. So, stories of corrupt judges, companies, or police officers were just the cost of living in a Latin American country. But, as I got older and began to travel into my little home county. I began to notice a few things. It had its issues. But, it also had an awesome good side. I started to see that people make more with less. It has an awesome little Ubuntu group, OpenSource advocates, and yes even Apple Fanboys. I am feeding off the energy the country has been kind enough to share with me. I was introduced to the whole Guatemala issue by this video. I began almost like a spy movie. “If you watching this. It means I am dead”. Mr. Rosenberg was gun down in his community and shortly after his death this video was release. The corruption was linked the financial industry and that was the second major scandal that happen in my poor country. A Twitter user was arrested for suggesting that we should take our money out of the banks. A lot of people have forgotten about the laws that prevent you from causing panic and undermining financial institutions that were pass after the US Wall Street crashed many years ago. Many countries outside the US have similar laws in place to prevent a wide panic of people taking out their money from the bank. I have had lengthy discussion with many people both in the US and Guatemala arguing if he should have been arrested or not. Now, in my opinion I think his actions were valid concern and anger but he was not planning to cause panic or undermine the financial stability of the county. I think he fell into one of those “Technical” things. But, to do an arrest during the major scandal is just bad PR. But, I am happy to report he is back home. I just hope my little home country can get over this issue and go back and allow the local geeks work on their projects with out negative PR or actual wrong doing. I hope in the next few years my little country does become known for something positive.